Two deserving families recently traveled to Tampa, Florida for a week long, all expenses paid, dream vacation hosted by Freedom Alliance, our first ever Poppy’s Wish Heroes Vacation. Marine Corporal Daniel, his wife Angel and their two sons, Matthew, and baby Eli arrived at the Grand Hyatt Tampa Bay on Monday from Walter Reed Army Medical Center. Daniel and his wife are high school sweethearts. While deployed in Fallujah in 2008 Cpl Daniel was conducting a patrol when his vehicle was struck by a roadside bomb resulting in the loss of both of his legs, fractured ribs, spine and a ruptured spleen. 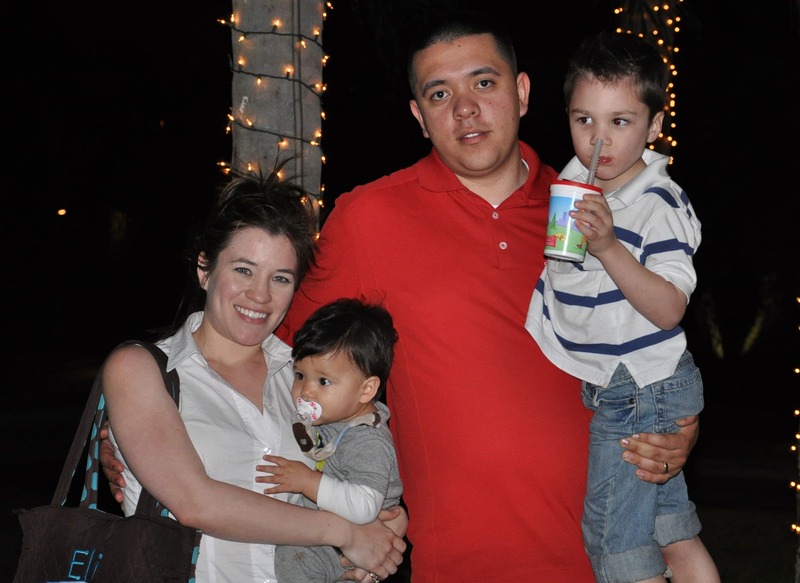 Army Specialist Michael, his wife Tanya and their son Jax, arrived in Tampa the same day from Texas. Jax and Matthew, both four years old, became friends quickly. In July of 2010 SPC Michael was deployed in Iraq when his convoy was attacked. Eleven soldiers were hit, two were killed, and Michael was shot through the back of his hip. The bullet exited through his stomach. Since then, he has endured eight surgeries to repair his colon and hip. When our military heroes return home from protecting our nation one way we can help them is to provide opportunites for them to reconnect with their families and make up for some of the quality time they lost. Poppy’s Wish Heroes Vacation is Freedom Alliance’s way of showing our gratitude to America’s wounded troops and their families who have sacrificed so much in defense of our freedom. Through out the week the families dined at the finest restaurants in the Tampa Bay area, including a private room at Ruth’s Chris Steak house and Oystercatcher’s. They also visited Tampa’s Aquarium, the Children’s Museum, and rented jet skis. We often forget that when our service members are abroad their spouses are left running households by themselves. Freedom Alliance treated both wives to a spa day at Tampa’s luxurious SB Spa with manicures, pedicures, massages and facials. Angel and Tanya were the only women in the spa that day and said they “broke the rules” of the spa by chatting endlessly. Child care was provided giving everyone a chance to relax. The men took off for a “guys day” shooting pool and exploring Ybor City, Tampa’s historical Latin district. The last evening of the trip was spent enjoying dinner together at Armani’s a premier Tampa restaurant located on the top floor of the Grand Hyatt offering stunning views of Old Tampa Bay through floor-to-ceiling windows. Freedom Alliance is proud to have had the privilege of hosting these families, however it would not have been possible without the generosity and support that our donors have shown.